There are several very good local rental management companies to choose from, like Mammoth Rental by Owner, Mammoth Reservations, (and more here: www.MammothLakesResources.com). Vacasa, with nine properties under management so far, is among the newest. Vacasa provides the returns of listing your property on a site like VRBO.com or Airbnb.com, but with none of the hassle. They are a full service company that takes care of everything from bookings and housekeeping to making sure the propane tank on your BBQ remains filled. What really sets Vacasa apart from other local property management companies is their financial guarantee. A company that is so confident they can beat the competition that they will refund the difference if they don’t? I wanted to know how they could make such a claim. I spoke with local Vacasa Manager Emma Romo Haisten about it. She explained to me that Vacasa is able to beat the returns of other companies by utilizing new technology. They have an advanced algorithm and a ‘rates analysis team’ that help set the prices for each rental each night. This helps owners earn more by keeping their rental booked more often at the appropriate rate, similar to how a hotel room or an airline flight is booked. Prices rise or drop with demand. They also post all of their listings on VRBO.com as well as their own site, to attract new guests that may not have heard of Vacasa yet. Another neat feature- even if you don’t own property yet, you can request an income projection for the unit you’re interested in to give you an idea for how much money you could make by renting the property through Vacasa. Property management, welcome to the 21st century! We here at The Dennis Cox + Tara Peterson Group are interested to see how Vacasa does in our local market. Right now they are only managing nine rentals in Mammoth and are working to build their team. How will they stack up against the well-established property management companies in our area? Would you be willing to try a company that is new to our area? This entry was posted in Real Estate Blog and tagged Vacasa, vrbo on October 20, 2016 by Dennis Cox. There is a new law rushing at us that takes effect January 1, 2017 which requires all homeowners in California to have water conserving plumbing fixtures. Did you catch that? All homeowners. Not just when you sell your home (i.e. “point of sale”), but simply if you own property as of 1/1/17. Once I heard this, I rushed to my toilets and saw that they all use 1.6 gallons per flush…phew. And I don’t know how many homes have urinals, but I have yet to hold a bucket under my showerhead with a stopwatch to calculate the gpm. However, if you own a home that was built after 1/1/1992, your toilets are probably okay since California has required low-flow toilets for new construction since this date. And the law actually only applies to homes built before 1/1/1994, so homes that are less than 23 years old are okay! And get this…condos are exempt! The law reads “single family residential property” and condominiums are not SFR’s! Will the law be expanded to include condos? I predict that they will. In Mammoth Lakes, I count about 4,540 condominium units built before 1992…that’s a lot of toilets. As an aside, the law states that multifamily and commercial properties do not need to comply until 1/1/19. An attorney from the California Association of Realtors believes that the Seller Property Questionnaire (SPQ) form will be revised by the end of 2016 to include a question that may be stated this way: “Are you (Seller) aware of any noncompliant plumbing fixtures?” And if a Seller checks “Yes,” they are required to explain further. So, if you remodeled a few of your bathrooms but still have one old bathroom with a high-flow toilet, you must disclose that it is non-compliant. Then what? Is the Seller required to upgrade the fixture(s) before the close of escrow? Not necessarily. The TDS pg 2 says, “Installation of a listed appliance, device, or amenity is not a precondition of sale or transfer of the dwelling.” So, it will probably be left up to the Buyer and Seller to negotiate this. If it is realized early, it can be built into the list price and disclosed in the listing that “Buyer shall be responsible for compliance with water-conserving plumbing fixture state law.” Or, it could be asked for by Buyers after the home inspection – which brings up the question about how or even if home inspectors will test these fixtures. The current corollary to this law is the requirement for all property owners to have carbon monoxide detectors in their dwelling. If a property does not have them, Buyers or their lenders will often request that the Seller install them before close of escrow. Sellers do not usually mind because these devices are not too expensive (sometimes we agents end up taking care of it out of our pockets). If Buyers do ask for Seller to bring noncompliant fixtures into compliance before close of escrow, this is a much bigger ticket item, and even if a Seller did agree, the Seller will most likely install the cheapest fixtures available. I predict that Buyers are going to ask for a credit so that they can upgrade the appliance to their liking after the close of escrow (and many Buyers may just pocket the money and not even make the modifications). I called the Mammoth Community Water District to ask about enforcement and they do not currently have an enforcement program in place, nor do they know if they will even be responsible for enforcement. They have called both the state and the Town of Mammoth Lakes but have not gotten any concrete info. Sounds like this law is not on many people’s radar yet. However, the MCWD does have a generous rebate program in place to help incentivize us to upgrade our toilets and showerheads (http://www.mcwd.dst.ca.us/rebates.html). So for now, just be aware this law is coming at us quickly, but is not clear how it will be enforced. It will be interesting to see how the real estate market reacts/adjusts to the latest ordinance affecting our largest asset(s). This entry was posted in Real Estate Blog and tagged water-conserving fixture law on October 19, 2016 by Dennis Cox. Fall is a beautiful time in the Eastern Sierra. The temperatures are dropping, the leaves are changing, and it just smells like autumn. Nothing can rival the fall color hikes and drives that the Eastside has to offer this time of year. Except maybe snuggling up with a warm cup of coffee afterward. While I enjoy a pumpkin spice latte from Starbucks as much as the next guy, taking the time to seek out some local brews will be well worth your time. All coffee shops offer hi-speed wi-fi, so you can get some work done or lazily browse through some real estate listings! If your style is….. Check out the newest local coffee shop, Black Velvet Coffee. It’s located in the Mammoth Luxury outlets and they roast their own beans (which you can purchase to take home!) They also do wine tastings, and serve waffles. Yes, waffles; little scrumptious waffles that make the whole place smell delicious. The exposed metal and concrete design makes the place feel very hip and fun. Stellar Brew is for you. The bright blue building on Main St. is hard to miss. Now is the perfect time to sit out on their patio and enjoy the sunshine. The local artwork and jewelry displayed are not the only reason that Stellar Brew is the favorite hangout for local hikers and climbers- they offer an incredible array of breakfast and lunch options on top of the delicious drinks and smoothies. Their baked goods rival the best in town (the cinnamon rolls are to die for) and they offer lots of options for those with food allergies and sensitivities. Don’t miss their pumpkin pie chai this time of year! Looney Bean is always a good bet. With a location in Mammoth and in Bishop, you can’t go wrong snuggling up by the fireplace and feeling the Looney Love. 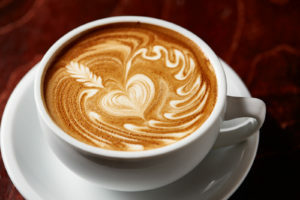 Looney Bean also roasts their own coffee and the company has been around making friends in the coffee world since 1992. Worked up a sweat on your hike? Go with their cold brew coffee. Believe me, your taste buds will thank you. Don’t worry if you are a creature of habit, Mammoth has two Starbucks locations (In the Village at Mammoth and the Minaret Mall next to Vons) where you can grab your usual. Cheers to leaf-peeping and delicious coffee – and keep an eye out for me snuggled in the corner with a book and a latte! This entry was posted in Real Estate Blog on October 13, 2016 by Dennis Cox. 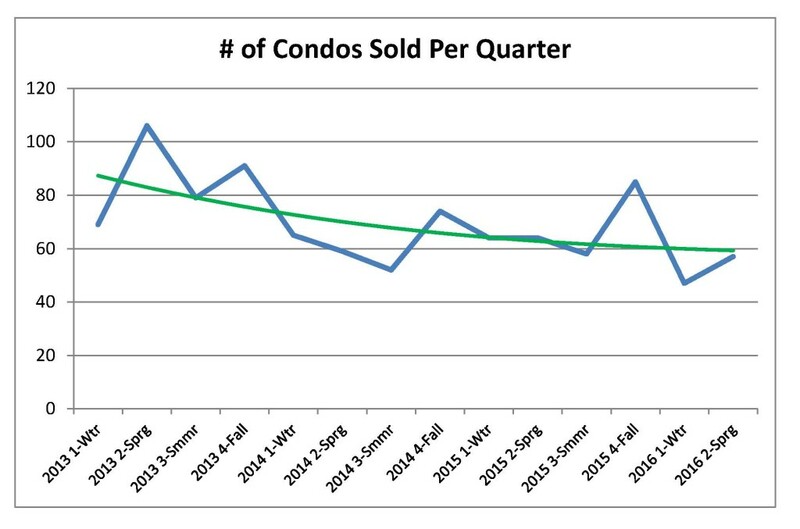 What is selling: 80% of the 120 condos sold in 2016 are below $465,000. 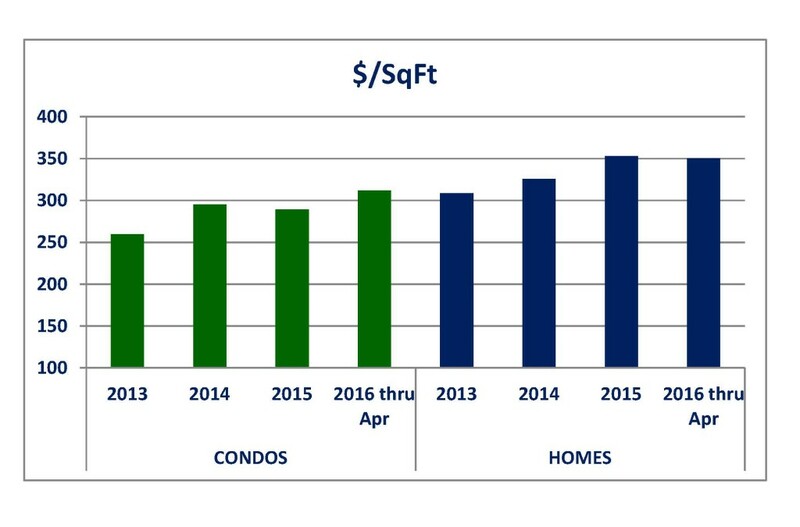 And you can barely find a house for less than this (only seven of the 30 homes sold in 2016 so far were below this mark). In both segments, all cash financing are seen in a little over 1/3 of all transactions. Inventory: Late spring is the time of year when sellers list (or re-list…or even sometimes pause their listing for 30 days to re-set the days on market to zero). In 2014, between the middle of May and the 4th of July, inventory shot up by 25%. In 2015, it shot up by 20% in the same span. We expect to see a similar increase this spring. Condos that were taken off the market in order to max out rental income will come back on the market. Homes and lots that emerge from the snow will also emerge on our active inventory. On another note, our foreclosure inventory is basically non existent and we only have a few short sales. Sales Pace: As you see in the graph, the pace of sales was strong in 2013 (the year after we bottomed out and had an uptick in the market), but then has been slightly slower since then. (1) Lower-priced homes. Half of the homes selling are considered ‘affordable’ in the under $599,000 range. (The $700k-800k range has been struggling with only one sale so far this year). (2) GrayBear: New development of single family homes along Sierra Star Golf Course with the rare ability to be rented out nightly. These are priced $1M-$1.5M and the developer has been swamped with sales and construction activities along East Bear Lake Dr.
(3) Snowcreek Phase IV and Westin studios are among the most frequently purchase properties in 2016 so far. Sellers who have had their properties on the market throughout the ski season without seeing them sell are really hoping the summer will bring them a buyer. We do tend to see a new set of buyers during summer, as well as those winter enthusiasts who were not able to see many condos for sale because they were always rented during our recent successful ski season. We believe that the drought has a lot to do with our sluggish market. Buyers are skeptical (rightly so) that one good winter will lead to a trend of several good ski seasons in a row. While Mammoth’s success definitely depends on the ski resort, our town has much more to offer and has been drawing tourists (and real estate buyers) for many other reasons. Feel free to email us if you have any questions or comments! This entry was posted in Real Estate Blog on May 24, 2016 by Dennis Cox. Mammoth is home to some of the best mountain biking and road biking in California. It offers excellent riding for all disciplines and skill levels. Year-round you will find both locals and visitors riding bikes, even through the winter at the lower elevations. For cross country and downhill mountain bike rides, Mammoth Mountain offers over 80 miles of groomed single track. Whether pedaling the trails or taking the Scenic Gondola to the 11,053-foot peak to start your ride, you’ll enjoy world-class trails and breathtaking scenery. Professional racers come up regularly to train and compete in Mammoth. The U.S. National Mountain Bike Championships will be held in Mammoth this July. Thousands of America’s top riders will come to compete in all disciplines of the sport. Mammoth also offers miles of paved bike paths, including the Town Loop and the Lakes Basin Path which are friendly to all level of cyclists. Road cycling in Mammoth is spectacular. The roads are well maintained and are ideal for altitude training. From Mammoth you can ride north or south on the wide shoulder of the 395, climb many iconic climbs such as Tioga Pass, or try a locals favorite like the Mammoth Scenic Loop or June Lake Loop. And don’t forget about the annual Fall Century / Gran Fondo ride. Bike rentals and maintenance shops can easily be found to support this industry (i.e. Footloose Sports, The Bike Maven, Brian’s Bicycles). If you want some assistance going uphill, electric bikes are also available at the Pedego store. Finally, when the ride is over, Mammoth offers a wide variety of restaurants, accommodations, and bike shops to help make Mammoth one of the top cycling destinations in California. This entry was posted in Real Estate Blog on May 21, 2016 by Dennis Cox. Have you always wanted your own piece of Mammoth, but not sure if you can really afford it? There’s always the option of purchasing a condo and putting it on a rental program. The biggest downside to this is feeling like you need to rent the condo during all of those weekends and holidays that you might want to be using it yourself. See our blog post about cashflow on Mammoth condos here. Another great option can be investing in small multifamily housing. A duplex, triplex, or four-plex would allow you to own your own property, live or vacation in one unit, and rent out the rest. Often, the rental income from the other units can be enough to cover most or all of your mortgage payment for the entire property. For instance, a triplex on Mono St. (three 2bedroom/1bath units) just sold in Mammoth this month for $620,000. The principal and interest on a mortgage payment would be around $2,300/month (assuming a 20% down payment and 3.5% interest rate). Your other ownership expenses include common area utilities (exterior lighting / laundry room operation), snow removal, property taxes, and maintenance. If you reserved one unit for your personal use, each of the other units would only need to rent for $1150/month to cover your mortgage. Recently, 2 bedroom units in town have been renting for an average of $1200-1300/month. Viola! Living in Mammoth for (almost) free! When considering multi-unit properties, you will want to become familiar with tenant rights and lease agreements, the best way to collect rent, how to advertise vacancies and whether or not to hire a property manager. But don’t think that multifamily means sharing walls with your neighbors. There are a couple of options on the market currently that offer separate houses on the same lot. You can have the privacy of a single family home but still have rent money coming in each month. Take a look at the current multi-family listings and see if any might be the path to ownership for you. View current multifamily listings here. This entry was posted in Real Estate Blog and tagged multi-family on May 21, 2016 by Dennis Cox. Can I Get Positive Cash Flow on my Mammoth Rental Condo? Buying a condo or townhome in Mammoth Lakes is a great way to get your family up to the mountains more often. If you live in the 949, 310, 818, 858 or 805 and have a mountain getaway place to dream about while at your desk, chances are you will make plans to come up and use it more often than if you did not own one. And instead of letting it sit vacant when not using it, you might put your condo on a nightly rental program. Can the rental income produce a positive cashflow or at least cover our costs? Possibly…when you pay all cash for the property. Cash Flow = Gross Rental Income – Rental Commission – HOA Dues – Property Taxes. We are looking at fixed costs here, leaving out utility, maintenance and mortgage costs. And since the bulk of insurance costs are included in HOA dues, let’s leave leaving out the smaller ‘contents policy’ that owners often purchase. + $9,965 positive cash flow. ROI = $9,965 / $445,000 = 2.2%. This example may represent one end of the spectrum, where the buyer paid all cash and did not use the condo for himself/herself. But what if I cannot pay all cash and I want to use the condo myself? A Snowcreek phase 1 one-bedroom condo sold this year for $255,000. In 2014, the condo was rented out for 141 nights and the owners used it an additional 19 nights. Gross income was $19,822 and rental commission is 47%. After HOA dues of $436/mo and property taxes, the net income was approx $2,470 for the year, which is barely breakeven. If the owners paid cash, that would be a return on a cash investment of 1%. However, the owners got a loan for 80% of their purchase price. If their interest rate for their 30-yr fixed loan was 3.75%, their monthly payments are approx $945/mo. Including this expense into the above equation results in an ROI of -17% on their initial investment of $51,000 (20% down payment). Their cashflow would be negative at -$8,870/year, but now they have a place of their own to come and stay and not have to rent anymore. They will also build equity, have a possible tax write-off, and hopefully gain appreciation in our currently slowly rising market. They also are going to do a bit of remodeling and take over the management of rentals themselves to see if they can increase their income and decrease costs. Rental Income Caveat: The huge caveat is always that rental income depends largely on amount of owner use and timing of owner use. If your Chamonix condo is not available to rent during Christmas, MLK wknd, Presidents’ wknd, 4th of July, etc., then you forego the chance to make top dollar during those high demand periods. Rental income also depends on the quality of your property, amount of snowfall and tourist visitation (2012 was a bad year), and which rental company you choose (read more about this below). How does your condo stack up? 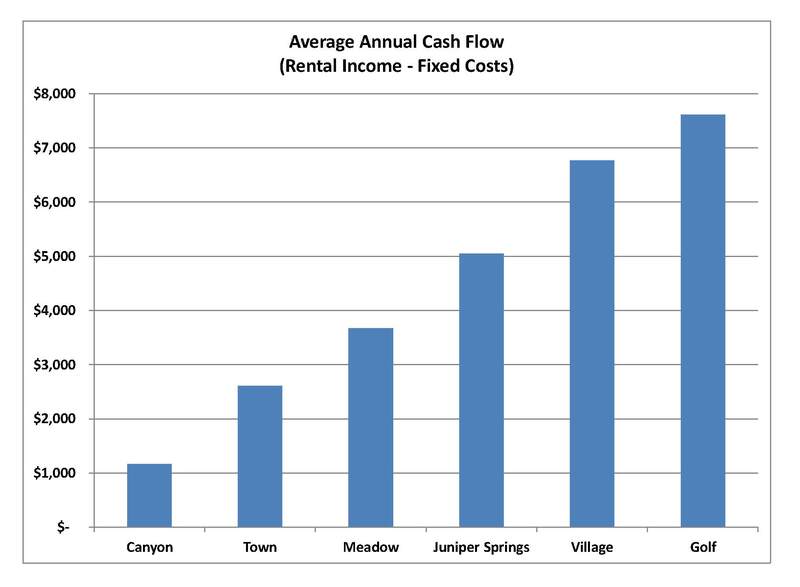 Golf course townhomes produce the largest cash flow because they typically are larger than the rest. In addition, Golf, Village and Juniper Springs areas are heavily weighted with Intrawest-built properties, which are set up to be condo-hotels and are located close to amenities (skiing, golf and The Village). A word about Rental company commission: Most of the big brick and mortar rental companies in Mammoth charge 38-45% commission (Mammoth Reservations, Mammoth Reservation Bureau, Mammoth Sierra Online, Central Reservations, Mammoth Premiere, etc.). There are some smaller online companies that charge less, like Mammoth Front Desk and Mammoth Rental By Owner. And then there is Mammoth Hospitality Management, which is operated by the ski area. They charge 50% commission for managing condos at The Village, Juniper Springs Resort, and the like, and 55% at The Westin. The legitimate rental companies will always include transient occupancy tax (14%), cleaning fees, operating costs and marketing fees within their commission. We have links to the rental companies on one of our websites: www.MammothResources.com. Rule of Thumb: If you pay cash and rent out your condo somewhat aggressively and do not use your condo over holidays, then your net rental income can generally cover your HOA dues and property taxes. And you might have some left over to pay for utilities as well. A purchase in Mammoth is more of an investment in lifestyle and in your family than it is a purely financial investment. Which is why pure investors do not buy rental property in Mammoth. Every year we talk to a few investors who have never been to Mammoth and they rarely buy here because they require a higher return on investment than is currently available here. Why? Because you, the families from the above area codes, value the property more than an investor would. It is less about numbers than it is about your family getaway spot and a launching pad for adventure. This entry was posted in Real Estate Blog on December 24, 2015 by Dennis Cox. First Dump of the Season! UPDATE…MAMMOTH MOUNTAIN IS OPENING EARLY…on NOV 5th!! ****Note to second homeowners in Mammoth**** If you haven’t already done so, make sure your homes are ready for the cold temperatures that are headed our way…there will undoubtedly be some freezing pipes and we don’t want them to be yours! The real estate market seems to have picked up a little over the past month and inventory of condos and homes is going down…all typical for this time of year as potential buyers want to get their Mammoth “home” before the Holidays. There are 137 condos for sale today (down from a peak of 209 on the 4th of July (over a one third drop). There are 55 homes for sale right now, down from 72 on the 4th of July, (also about a one third drop). This entry was posted in Real Estate Blog on November 2, 2015 by Dennis Cox. Mammoth receives it’s first “dusting” for the 2015/2016 Fall/Winter season!! Along with some much needed rain which came to the town of Mammoth Lakes yesterday and today, Mammoth Mountain received it’s first dusting of snow at the top of the mountain. Although this snow will likely all melt off with higher temps to come later this week, it’s always nice to see a little bit of the white stuff to whet our appetite for the upcoming Ski/Snowboard season! We’re all praying that El Niño delivers some long awaited precipitation….in the form of SNOW! 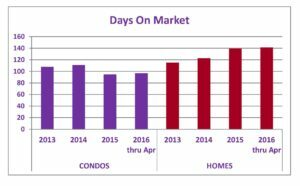 * Condo inventory decreasing slightly – As we would typically expect this time of year, we’ve seen a slight decrease in the number of condos on the market. We had been up over 210 condos at one point this summer and as of today we currently have 186 condos on the market. * Measure Z – No or Yes?? This has become a very heated topic of debate and we encourage everyone to educate themselves and learn the facts. You can see both sides at www.VoteNoOnZ.org and www.letmammothdecide.org. Even we as partners have differences of opinion on what is “best” for our town. * Got a condo/townhome that you want to rent out for the ski season? We are getting numerous inquiries about Mammoth Ski Leases. The typical lessee seems to be up to several families who want to partner up together on a lease and come up on weekends and have just one place to stay and store their equipment, as opposed to renting different places each visit. Typical rates for a 2 bedroom + loft townhome is in the $2200/mo range (with the tenants paying utilities). This entry was posted in Real Estate Blog on September 15, 2015 by Dennis Cox. Do you want to know what’s going on in Mammoth??? * This weekend (August 28th and 29th) is the Mammoth Reggae Fest here in The Village at Mammoth. If you’re in town you should definitely check it out. * Saturday, August 29th, is the Ezakimak Bike/Run Challenge (Kamikaze spelled backwards) where competitors can run or bike from Main Lodge up to the Summit of Mammoth Mountain under a full moon…The full moon Summit Party will take place at The Summit (11,053 feet…you better acclimate!) from 6:30-9:30…come on out and enjoy the full moon! * Labor Day Weekend will be host to Mammoth’s Rock ‘N Rye festival, again, in The Village at Mammoth. Music, food, beverages and even a mechanical bull! Mountain biking is still fun with all the new features that MMSA installs each year. And even the lesser known free trails are in good shape (Dennis rode the Mountain View trail yesterday and it was in better shape than Downtown). And why not close out the summer with a relaxing float on a pontoon boat on Lake Mary (760) 934-5353, Convict Lake (760) 934-3800 or June Lake (760) 648-7726. (If out on Convict, be sure to check out the rope swing just a few hundred yards from the marina at the tall, dead-looking tree). The waters are warm! After weeks of smoky skies from the plethora of wildfires burning throughout California, we are finally getting back to our beautiful blue skies and stunning mountain views here in Mammoth. It has been an amazing summer here in Mammoth and it’s not over yet. But Winter is JUST around the corner. Reports of El Niño and possible record precipitation are getting us excited here in Mammoth. We shall see what the future brings, but so far it is looking like we will finally get some much needed water (in the way of feet of snow!). The Mammoth real estate market has been fairly steady, but prices, in general, seemed to have flattened a bit. We currently have 70 single family homes on the market here in Mammoth, ranging in price from $349,000 to $6,500,000 (median price is about $960,000 and average list price is about $1,300,000). We also have 200 condos currently on the market ranging in price from $119,000 to $1,400,000 (median price is about $340,000 and average is about $425,000). We typically experience a little buying spree after Labor Day from those of you who want to get into a place before Thanksgiving, so beat the rush and have us help you wade through our high inventory. Feel free to contact us for more information regarding real estate here in Mammoth. 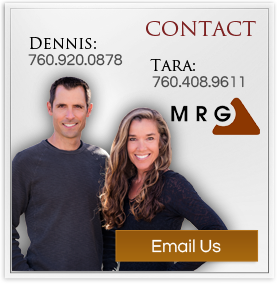 -Tara P. & Dennis C.
This entry was posted in Real Estate Blog on August 27, 2015 by Dennis Cox.